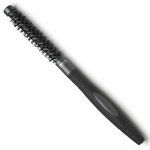 Designed especially for thick or difficult-to-manage hair. The Termix Evolution Plus Brush features high-performance ionized bristles with extra density. This gives the bristles better resistance which means you don't need to use as much effort when you're drying or styling thick or difficult-to-manage hair. 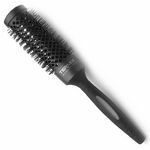 The brush's barrel is coated with non-stick polytetrafluoroethylene which helps prevent hairspray and other styling products from sticking to it. The coating is also heat resistant, ensuring an even distribution of heat from your dryer across the brush for better drying performance. Like the other Evolution brushes, the Termix Evolution Plus features large diamond-shaped vents on the surface of its barrel. These increase the surface area of the brush for up to 30% faster drying when compared to standard radial brushes. 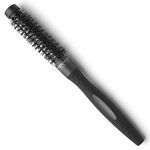 Each Termix brush also has an ergonomically designed handle that's been covered in santoprene, giving it a soft and rubbery texture that makes it easy to use and offers a non-slip grip and incredible comfort. 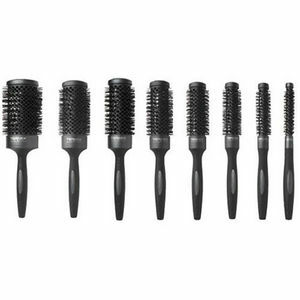 The Termix Evolution Plus features black barrels so you can quickly tell it apart from the Evolution Soft (cream) or the Evolution Basic (silver), to make sure you pick the right brush for your client's hair, every time. Available in 8 sizes: 12 mm, 17 mm, 23 mm, 28 mm, 32 mm, 37 mm, 43 mm or 60 mm. 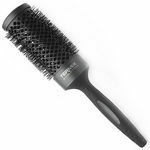 Buy any 5 or more Termix Evolution brushes and save 10%. Applies to all sizes and can be mixed across the Soft, Basic and Plus ranges. High quality brush bag with multiple compartments that'll take a set of brushes and still have space for a few clips and combs. 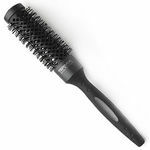 Designed with high-performance ionized bristles and a non-stick, heat-resistant barrel for incredible results on medium/normal hair. 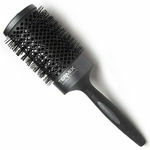 Designed to care for delicate or thinning hair with high-performance ionized bristles and an ergonomic non-slip handle.